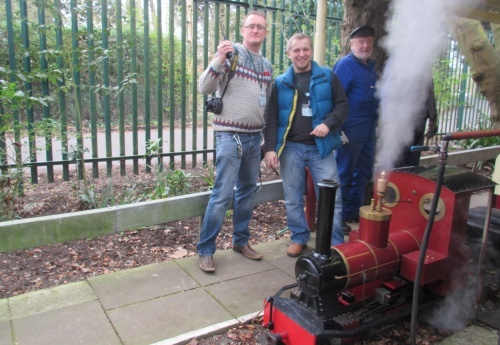 Sunday the 22nd of March 2015 was Science Sunday at Maldon’s Museum of Power. This is a busy day for the team at impressive Museum of Power, which saw families flock to see the exhibits, ride the trains, watch the science shows, and learn about all aspects of power. 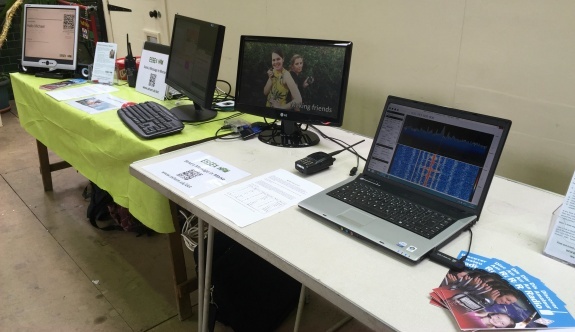 At this year’s event, amateur radio was well represented, with live stations and several displays. 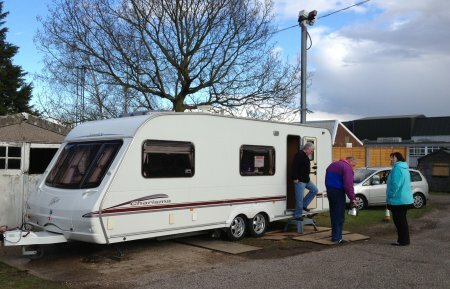 Teams from both Essex Ham and the Chelmsford Amateur Radio Society were in attendance to promote the hobby. Essex Ham had been asked to attend to complement the voice and Morse stations being run by CARS, and we were only too happy to oblige. ‘Send your name in Morse” – A definite hit with the kids today. The demo, from Nick 2E0DVX allows kids to type their name on a keyboard, have it sent over the Internet, converted to CW, and played out with an audio and visual representation. We also opened this to those not at the event, getting messages from amateurs around the world beeping out around the hall. 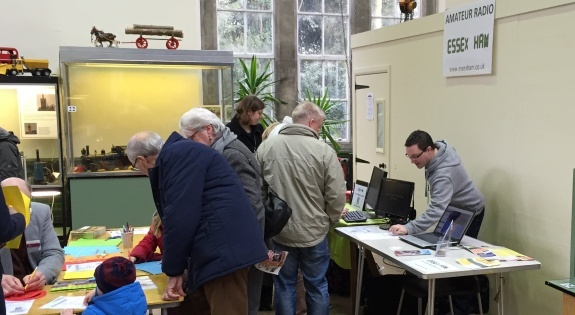 Family events bring in a mix of age groups, so having visual and accessible demos is key. 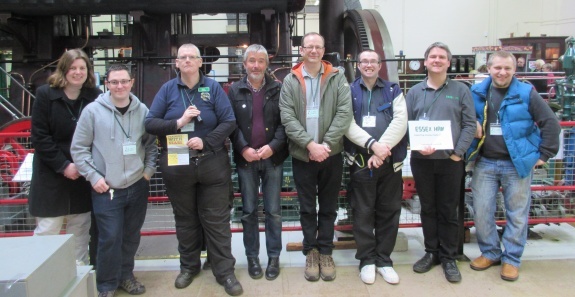 Certainly, the kids liked seeing their name in Morse, and had the opportunity visit CARS and try their name with a CW key, as well as watch a CARS operator in action. Others were keen to see images from space. Older visitors hovered to watch the video, experiment with the SDR, pick up a leaflet, or chat about their experiences with radio. 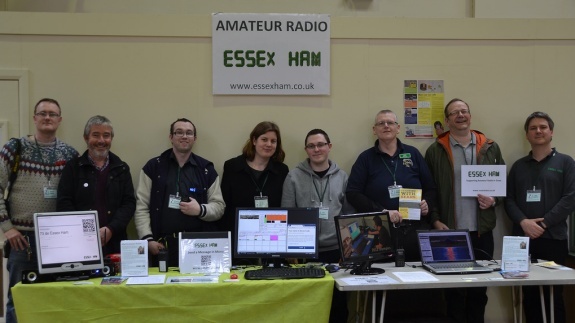 Great to see so many Essex Ham faces come by and say hello, help out with the demos and talk to visitors about their experiences with amateur radio. 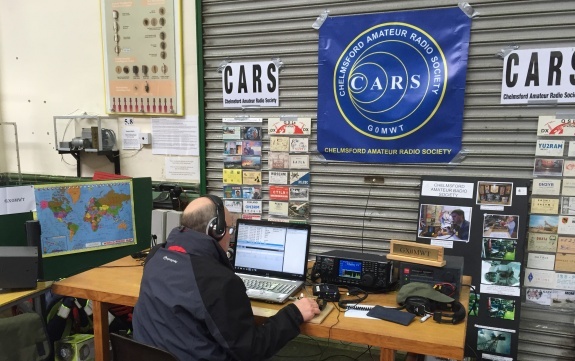 The Chelmsford Amateur Radio Society (CARS) had an HF station up-and-running all day, alternating between CW and SSB voice. Headphones allowed the operators to hear in the occasionally noisy environment, with good HF contracts being made with the US, Russia, Europe and the UK. 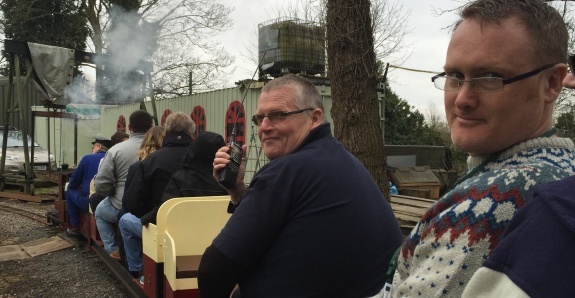 With the science show in full effect, members of Essex Ham and CARS took a quick train-trip on the museum’s miniature railway. 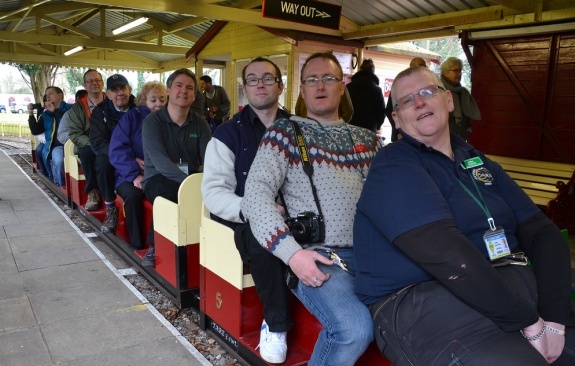 Nine hams piled aboard for a leisurely trip around the museum – James 2E1GUA just couldn’t resist the opportunity to work from a train, so he made contact with Chelmsford cabbie Bob via GB3DA whilst completing the circuit. 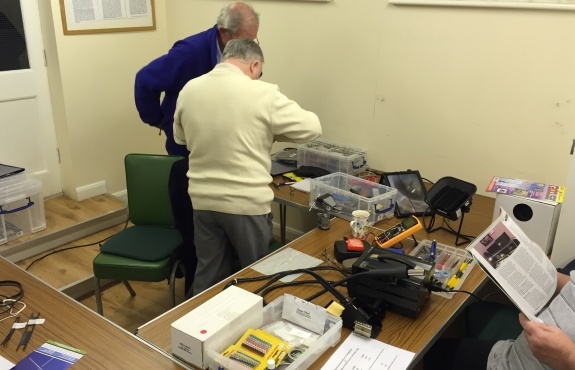 A good fun day raising awareness for amateur radio. 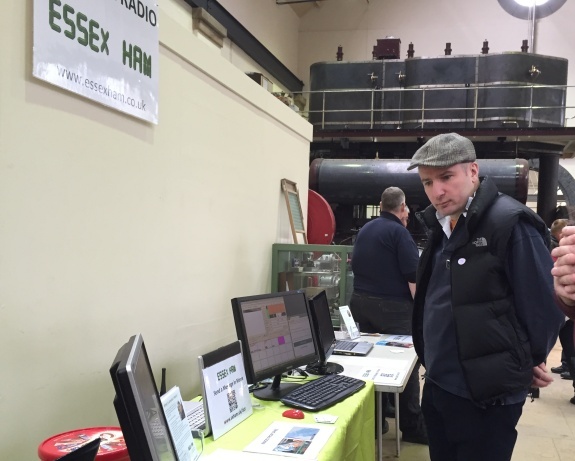 Thanks to the team at the Museum of Power for inviting Essex Ham to be a part of today’s activities. Check out their website for details of upcoming events at this impressive museum. It just hat to be don and thanks to essexham for coming.